OUR MOST POPULAR LOG HOME MODEL FOR THOUSANDS LESS! 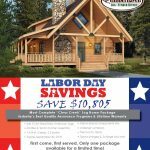 Home→Savings Offers→OUR MOST POPULAR LOG HOME MODEL FOR THOUSANDS LESS! Whether you have wanted a log home for a weekend retreat, vacation home, second home or permanent residence, our Clear Creek model is designed to fit any need. Its truss entry, cozy porch, open floor plan and roominess make it a top-pick amongst our Clients. So, for the month of September 2018 only, there is one Clear Creek model available at the incredible price of $108,795* to some lucky buyer, so why not make it you? This is a first-come, first-served offer and it expires September 30, 2018. 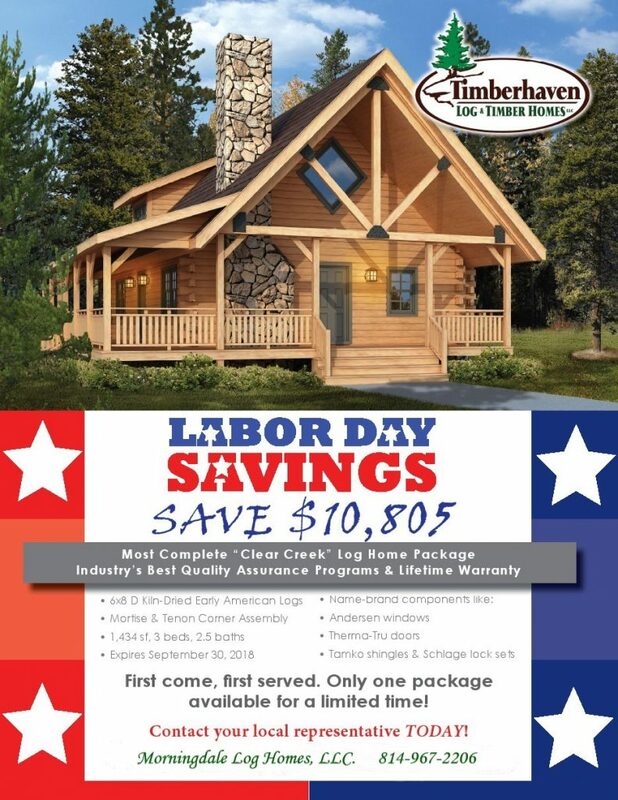 So do not delay, call Morningdale Log Homes at 814-967-2206 now to grab this discounted model before someone else does! * Delivered within Shipping Zone 1, shipping to other zones will be extra. Fireplace is extra. Excludes sales tax. Cannot be combined with any other offers or discounts.